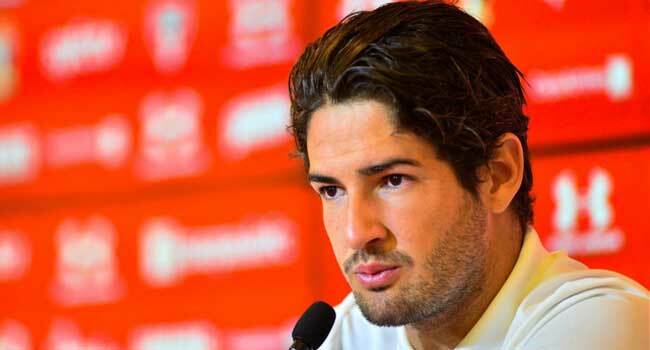 Brazilian forward Alexandre Pato on Saturday bid an emotional farewell to Chinese football after reportedly buying himself out of his contract at Tianjin Tianhai. The 29-year-old former AC Milan starlet failed to appear in Tianjin’s first two games of the new Chinese Super League (CSL) season and had used social media to hit out at what he called “lies”, without naming the supposed culprit. But Chinese media said that the former Brazil international, who joined Tianjin from Villarreal in Spain two years ago for 18 million euros, had fallen out with the club and was desperate to leave. He has now got his wish, bringing a sour end to a spell that brought 36 goals in 60 games and saw him widely praised by Chinese football fans for seemingly settling well in the country and embracing local culture. Pato, who has been strongly linked with a return to Brazil, is now a free agent after paying up the remainder of his contract at Tianjin, Chinese media said. Pato has been a regular user of Weibo, China’s equivalent of Twitter, and on Saturday posted a good-bye message to “my dear Chinese friends”. “I’d like to inform you that my adventure in China has come to an end,” he wrote in Chinese and English, saying that his arrival in 2017 in Tianjin, in China’s northeast, “was love at first sight. “The city of Tianjin, the people, and my fans: all people (are) incredible and very kind! “I will miss them so much. Pato began his career at Internacional in Brazil, attracting comparisons to Pele and the attention of Italian giants AC Milan. Pato, who has 27 caps for Brazil, spent nearly six years at the San Siro from 2007, but he suffered a loss of form and injuries took their toll. His last cap for Brazil was in 2013.